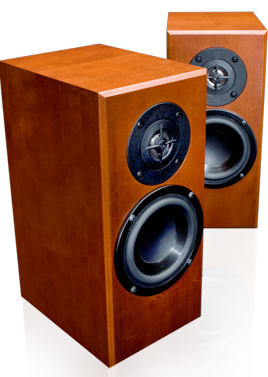 Loudspeakers are often considered to be the most important component in a stereo system. In fact they are less important than the source component and the amplifier. Loudspeakers are the idiot of the system. Given good instructions a relatively average loudspeaker can produce better results than the best speaker with a poor signal and weak amplification. Of course any system is only as good as its weakest link and we are certainly not saying speakers aren’t important; quite the reverse. Speakers take all forms and sizes and cause a great deal of confusion because they are the most visual component in the stereo system. Whilst other components can be concealed loudspeakers are on display and often cause friction for that fact alone. Loudspeakers work by moving air. For that reason alone very small speakers are generally quite poor. As a rule of thumb; the smaller the speaker the poorer the performance and the less air movement. Bass will be poor or non-existent. There are exceptions to this of course. Totem and Spendor (to name but two) make some exceptionally good speakers that are very small and yet produce fantastic sound. 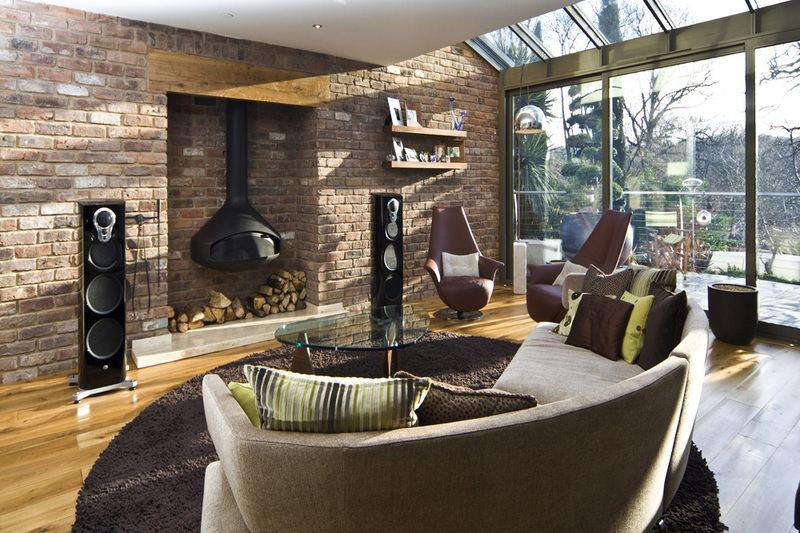 Small speakers tend to be suited to small rooms and many will sound inferior when placed in large areas. Small speakers need stands or at least to be elevated from the floor. As a result of this a lot of people find it just as easy to accommodate a floor standing loudspeaker. Floor standers are usually capable of producing deeper bass and are also usually easier to drive (easier to fill the room with sound at all volume levels because the dive units and cabinet dimensions are larger). Larger speakers move air more easily. The result of this is that they sound better at all volume levels and require less effort from your amplifier to fill the room to a moderate level. As well as the differences in quality that exist between various speakers there is also the different “voicing” or presentation. Some speakers sound smooth whilst others are bright and detailed (sometimes unpleasantly so). Loudspeakers sound very different too and some brands match some equipment better than others. Despite all the specifications that abound the only way to judge a speaker and certainly the only way to choose a speaker is to listen to it in a similar system to your own. 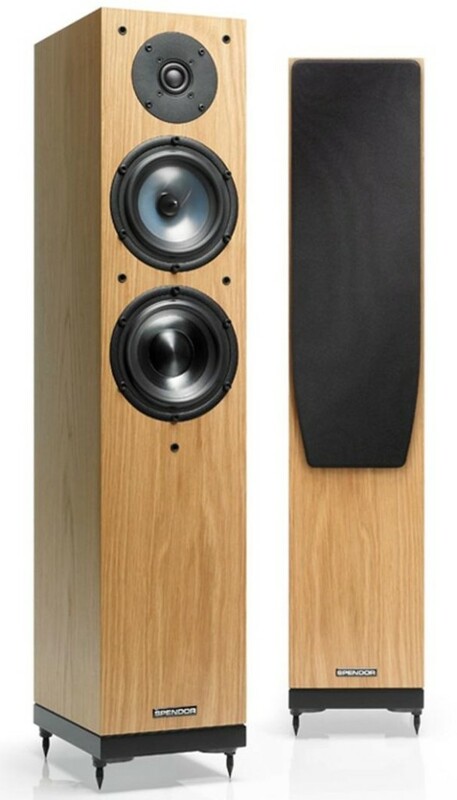 Your room dimensions will give you a guide as to the sort of loudspeakers we would recommend to you. A massive loudspeaker with huge drive units is not going to work at its best in a tiny room. Nor will a tiny little speaker fill an immense space. Provide us with your approximate room dimensions and we will of course make useful suggestions for you. Listening to equipment is a thread we keep returning to and this is deliberate. In fact listening to equipment underpins how our business works and is the best way in which we can look after our customers. Of course we can advise you which loudspeakers work well with which amplifier of course and our years of experience will make for a combination which will work exceptionally well. Even so there is no substitute for listening. One of the main factors influencing the cost of a pair of speakers is how it is made. Cheap chip-board boxes are much cheaper to use than wood, carbon fibre or even composite materials. Wood is very beautiful but it is a resonant material and will change the sound of the speaker unless it is damped and braced internally. Both of those things cost money. Also better drive units produce a more accurate and detailed sound and also cost more money. The end result (as almost always) is that you get what you pay for. An attractive and accurate speaker will produce high quality music for 30 years plus but won’t be cheap. Wilson Benesch use high tech materials to produce cabinets that are non-resonant and will not colour or mark detail. Bowers and Wilkins go to immense trouble to brace their cabinets to achieve the same ends. Of course it is relative to the rest of your system. There is no hard fast rule but if we were to try and give you any indicator it would be to apportion 30% of your system budget to the loudspeaker. A lot of people would expect that figure to be higher but a better turntable and amp will sound better through a relatively inexpensive speaker than a poor source and weak amp through the best speakers in the World. Sometimes your requirements will have an impact on your budget too. But in any event we can always offer help, advice and of course a listening session for you to determine your ideal speaker. What about if I don’t want to see a speaker? As well as conventional speakers we also supply architectural loudspeakers. These are designed to blend into your room so as to be almost invisible. They are either in-wall or in-ceiling and are great for people who want a good sound without the visual impact of a conventional loudspeaker. We stock a wide range and some of them are very good. Whilst they will never meet the performance of a conventional loudspeaker; they are extremely discreet and capable of a lot better results than you might think! They are also happy in wet areas, kitchens, showers and conservatories. We can even offer all-weather outdoor speakers. 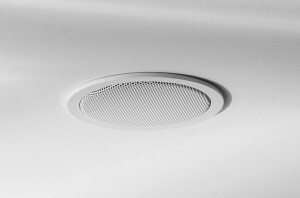 In-ceiling loudspeakers are perfect for secondary locations but not the best solution to the main listening area. Please contact us if you would like to know more about any aspect of this article or indeed anything about loudspeakers to suit your room or your audio system.